Home Travel Tips Top Tips for Travel. Yes, there are numerous articles, blogs and books that you may have read about tips on travelling so why not try mine. 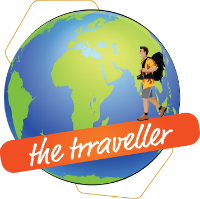 Having travelled a fair bit around the world this is how I go about, so have a read and you might just find something that you missed out or never thought or read about. I have penned down a few tips which I practice and these could keep you safe and get the most out of your holiday. Your Destination – It’s very important to do some research about the place you are travelling to which a lot of people skip and as a result occasionally face problems. A good place to start off would be the internet without a doubt. With thousands of travel fanatics sharing their experience on the net there is a whole world of information you can have access to without a penny. If you enjoy the good old fashioned way of a hard copy then I would suggest the Lonely Plant guides. There is nothing worse than an overcrowded holiday destination. Try and visit a country / city when there are no local holidays as this can just add to the numerous tourists already present. If you can travel in the lean season and not bound by school holidays then I envy you. Travelling outside the school holidays and peak seasons can get you some of the best deals possible. It is always handy to learn a few words in the local language as this gets you some brownie points with the locals. Your Passport – You will be surprised how many people have had a bad experience when they have been refused travel at the airport with less than 6 months validity on their passport. It is compulsory to have 6 month’s validity on your passport when visiting certain countries. Always keep a few copies of your passport when you are travelling including leaving one with a family or friend. Just in case. Travel Insurance – I am a firm believer of this specially if you travelling with children. This is quite easily missed and even if you are travelling in the EU with a British passport would suggest you get this. Many banks offer you an element of cover thought your account so check what they offer and get details before you travel. Try one of the many comparison websites and get the level of cover you think is appropriate. Purchase travel tickets / hotel bookings through your credit card as they may offer a decent amount of cover at times depending on the provider. Travel Money – As we all have started using more virtual currency this has definitely benefited travellers. Compared to the days when we went out with loads of foreign currency and traveller’s cheques this is a much safer way to use money abroad. Whether it be in the form of credit card PayPal or online banking we still need to be careful. Would suggest using more than 1 card and keeping them separately. Make your hotel payments in advance or if you book on the much popular sites like Expedia / Booking.com you clear this either when you book or pay online. Always carry a small amount of local currency or $ for small expenses which can save you a few bank fees or charges for using your card abroad. Try and search for a credit card that doesn’t charge fees for using you’re the card abroad as this can save you a few $$$. If you are withdrawing cash in ATM’S overseas use a national bank. Advice your bank of travel plans and apply limits. Never exchange currency at the Airport as you get the worst rates here. Your Mobile – As we all become more and more dependent on our smart phones it is necessary to look into your plans before your travel. Apply capping on billing. If you are travelling within the EU and have a provider from the UK you should be entitled for free roaming. Turn of roaming when you leave the country. Use only in emergency as data abroad can be frightfully expensive. Use WIFI as much as possible when traveling abroad. Surprisingly there are more calls being made on WhatsApp then your traditional voice calls. If you are going to spend more than a couple of days in another country use a local SIM. Your Plan – Whilst it is great to plan your day, from my experience don’t pack your day with back to back activities after all you are on a holiday and not a boot camp. Try and visit the main tourist attractions as they are famous for a reason. As much as it is fun exploring the offbeat track DON’T SKIP THESE. You may visit a place and hate it and move on straight away on the flip you might just fall in love with a place and want to spend much more time than you had planned. So keep your plans fluid and they don’t always go the way you want them to. Your Photo – It’s always good to invest in a good camera but saying that I have used my smart phone and got some of the best shots. Don’t be shy to ask people to take a photo of you as there is nothing worse than thinking about it later and regretting. I refer to Instagram for some of the most photogenic spots and yes this helps its #world. Your Travel Must’s – Hooked on to our smart phones and need it for almost everything these days don’t forget to carry the right type of adapters when traveling abroad. A power bank is always handy especially if you are planning day trips. Make sure you check regulations and take one that you can carry on the flight. Power banks in checked in luggage is a big NO. A small medical kit is always handy especially if you have a delicate stomach Imodium can be your best friend. The 2 S’s = Sunglass and Sun Screen. Avoid busy /expensive holiday seasons. Never exchange currency at the airport. Carry more than 2 debit/credit cards. Always carry a small amount of cash. Try the offbeat path but don’t miss out on the main tourist attractions. Strike a pose and capture the moment. Previous articleJaipur in 48 hrs. This is such a grounded list and a good reference point for many of us who enjoy travel on our holidays. I couldn’t agree more that proper research is key to ensuring you have a great time at your destination. The more you know, the better off you will be to enjoy yourself when you are there. However the point you raised of ensuring your ability to allow changes and movement in your itinerary once you are there (being fluid) is well made. After all the travel destinations you have shared on this wonderful site, it is really fabulous to get an insight of your top tips, which would be of practical benefit to many. Thank you for sharing. Thanks for the kind and inspirational words. It’s imperative-to plan before you travel and be fluid. It’s a holiday after all. There are excellent travel tips here in the article thank you for sharing. I totally agree with you about researching your destination – travel guides and travel blogs is how we start our research. We also carry a 4 electrical point power board for charging all our technology at once. Thanks. Yes research is key to a happy holiday. This is great! As you said, there are numerous articles with tips for travel but it’s always so important to be reminded! Your tip about passports in particular, I don’t see that pop up on many blog posts of this nature which is so important! Thank you so much for sharing and for the reminder! Also researching about your destination before visiting is definitely a must on my list! That way you are prepared for certain things that may or may not be acceptable in that culture. Travelling is a highly educational experience and it starts even before you hop on a plane! Travelling opens horizons. Thanks for the comments. These are some excellent and practical tips for any traveler – long term or short term. It’s a great reference point. I do agree with your point of booking early. Saves you a lot of headache and dollars. And, just like you, I too research about my destination before visiting it. So many useful tips here! I agree it’s always good to plan in advance and research your destination, besides, it gets me excited for my trip! Travel insurance is so important too – we always make sure we travel with it, it’s better to be safe than sorry. Yes a bit of planning can make life easy on your holiday. Good tips. I keep chargers and adaptors in all of my suitcases. And as for the camera, I just bought a really great one, but like you, I tend to stick to my smart phone! Good tips, not many people think about travel during quiet season and prefer to try local food. Some people unfortunately prefer to eat fast food and stay in hotel resorts. You have to try local food to get a feel of the place. Fantastic Amar, your tips are so practical yet some I have never done or thought about. Wow!! Now every time I travel your tips are going to help ne further and make things easier. Thanks for reading. Yes couldn’t be worse than going to the airport and coming back. These are some really helpful and practical tips, for everyone who travels or wants to travel.I agree, one must be aware about the best time to go to a particular destination, to make the most out of the trip. Great tips! We travel outside of school holidays a fair bit to avoid the crowds but as my daughter is about to start high school, this may become increasingly difficult to pull her out of school. Definitely off the beaten path destinations are also ideal. I never leave the country without travel insurance….. absolutely no way! Totally agree about airport exchange rates. Dismal! As for a camera, I carry 3… I know crazy but they all have different capabilities. Sounds like we travel very similarly! Have read many tips for travel, but this particular blog of yours is really appreciative. Your tips are really effective. You have detailed nicely what to do and how to arrange travel money, then about the travel plan and destination – I agree to all of them. This is a great list of tips and tricks for traveling literally anywhere in the world. Sometimes we just take many things for granted – our passports for example and end up dejected when denied travel. Planning and getting things ready makes so much sense. I totally agree with your point on researching about the destination. My husband, the trip-planner, spends like 5 times the time we travel on researching the place. That way, we have alternatives planned out as well. A great trip is always on the back of good planning. I too agree with you that proper researching, planning, and flexibility approach towards travel makes traveling an easier job. Keeping another credit card is always a wise option because chance of hacking is more in tourist places, as 2 of my credit cards got hacked in Paris within a day and I have to use the third one. And buying local SIM is always I prefer to eliminate international roaming charges. Thanks for sharing all minute but useful details. Yes keeping finances in different places and having back up is key. I can’t agree more. I follow each one of the tips that you have mentioned here. To add to the tips, I would like to add that always trust locals for the authentic information than internet. and Try to take local experience whenever you are on a vacation. Thats makes your holiday special in many ways. Also, do always carry an extra pair of cloth and shoe, you never know when it comes handy. Couldn’t agree more. I too believe it’s important to plan period of travel, I avoid travelling in peak season, and mostly travel during Autumns and winters to avoid crowd. Definitely agree that researching before hand is sooo important. It could even make or break a trip. Although it might be bad of me, I want to tell you I am one of the privileged people who are travelling when its not school holidays and absolutely correct that its then low season with way less people, especially the theme parks 🙂 Good to have your tips on hand – as a checklist before going! Really nice tips. Worthy of keeping in mind . Thank you for sharing .